With smartphone penetration witnessing a massive uptick in the last decade or so, business-owners today, have a ready customer anytime of the day or night, considering global prospects and the always-on syndrome. That this mobile consumer group is constantly sharing data on personal preferences just makes it easier to enable targeted sales. 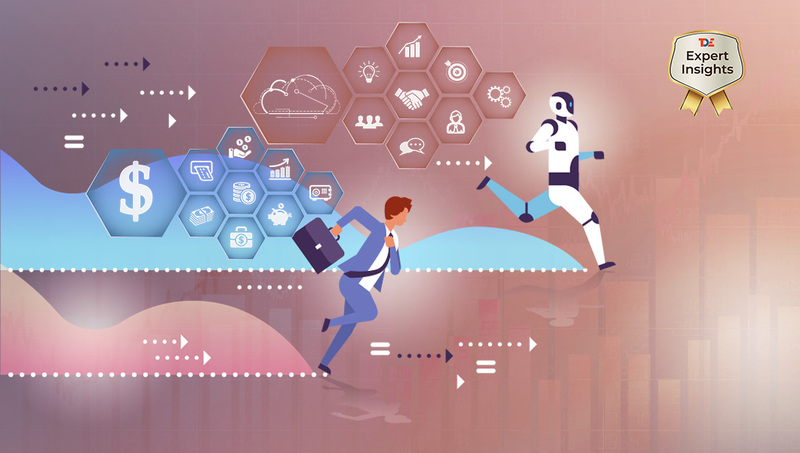 Businesses that are missing out on leveraging this moment of truth about buyers is foregoing opportunities to engage with them across their buying journey. Mobile e-commerce applications can be that gateway, helping you connect to buyers across the world, understand what they need, and drive customer loyalty through seamless mobile experiences. So, how do you go about building a mobile e-commerce app? 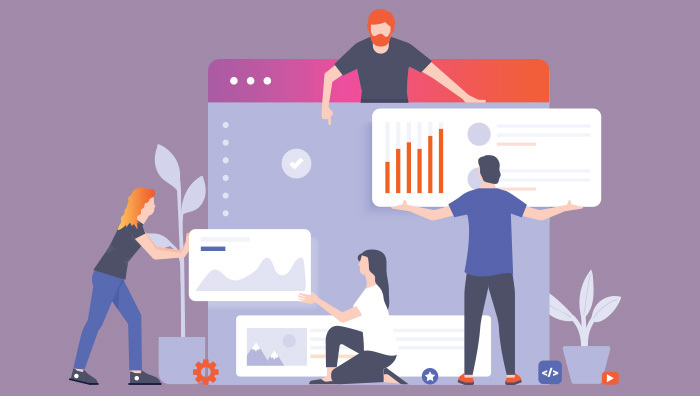 Right from knowing your business requirements to deciding on the look and features of your app to evaluating your app’s performance and how to keep it flexible enough for adding new attributes, read on to know it all. Online selling goes back to as early as when the Internet took off in 1991, but the first breakthrough in B2C sales came from Amazon, launched in 1995 around the same time as eBay. Amazon’s sleek UI, unbeatable deals, and the promise of on-time delivery changed the e-commerce market forever. 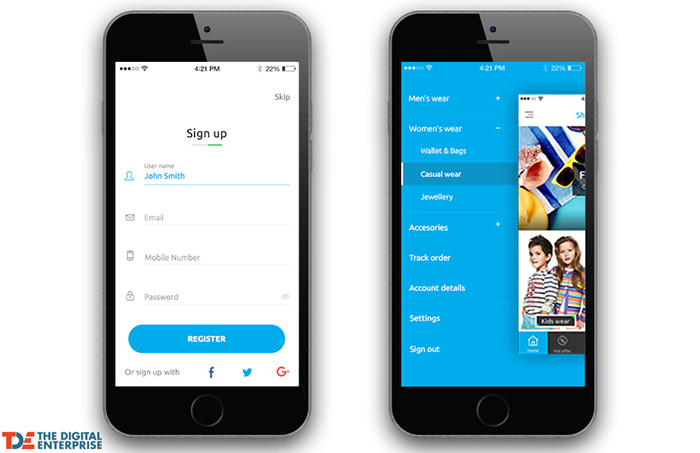 Their mobile e-commerce application launched around a decade-and-a-half later took this one notch higher with app-only promotions, exclusive product launches on mobile, integrations such as music and video, and more. 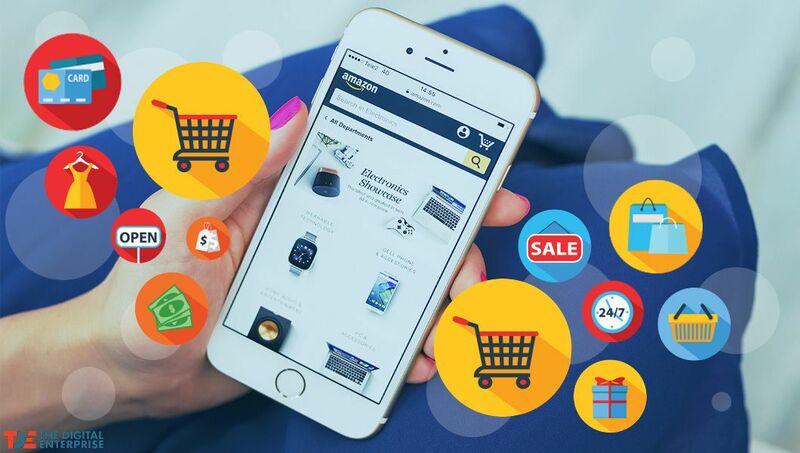 Today, the Amazon app boasts 700 million users worldwide – that’s 4.4X more mobile customers than all its competitors combined. Of course, Amazon isn’t alone in the race. Social media platforms Facebook and Instagram also offer ‘Business’ profiles, where sellers can set up an online store, showcasing products / services, feeding back into their primary website. Etsy is another, slightly more niche marketplace for small and micro-sellers. However, the basis for all these online B2C retailers is to have their presence where their customers are. And, mobile apps to showcase their business are their best bet to win their prospects. This makes it necessary that all brick-and-mortar businesses wanting to create their online presence explore all the options, including a mobile e-commerce application linked to their Facebook/Instagram for Business page, adding your business as a seller on Amazon, and other online marketplaces besides having your brand’s app on at least the leading app stores. Now that it’s clear that an e-commerce mobile app is a catalyst for success in a complex customer acquisition process, let’s quickly recap the reasons how your business can gain from developing an e-commerce mobile application. 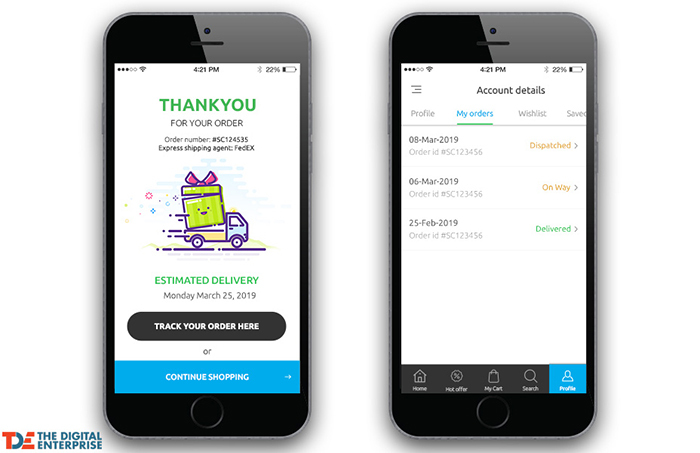 Possibly the greatest advantage of building your own e-commerce mobile app is the sheer speed and ease of connecting to your buyers in real time. Over half of all internet traffic comes from mobile, which means your website will be increasingly accessed from smartphones. An app runs faster than even the most responsive websites. This is because mobile apps store key assets such as photos on the device itself, so users don’t have to drag data from servers each time they open your store. Speed, combined with the convenience factor, is prompting users to browse content on apps as opposed to mobile websites. 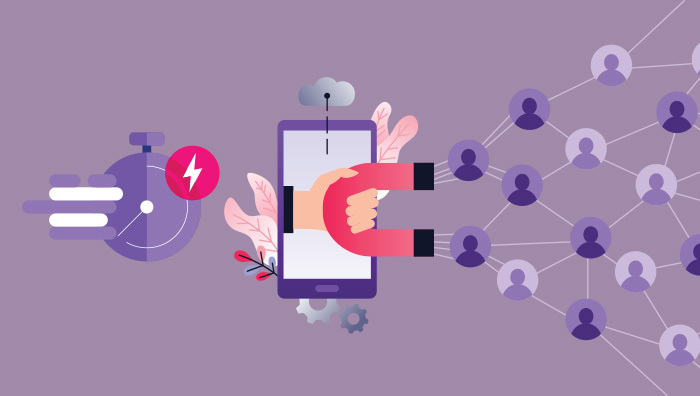 More than 80% of time spent on smartphones are consumed by apps, and tapping into this trend will help your business improve customer interactions and ultimately, boost revenues. With e-commerce mobile app development, you are in total control of the user experience delivered. A smartly turned out app can offer a transformed UX – simple, easy, and innovative. You can also ensure the app’s look and feel contribute to brand building and marketing of your business and aim at brand stickiness to ensure customer loyalty. While app marketplaces like Amazon have already aced this, there are instances of individual brands like Swedish furniture brand IKEA revamped their mobile e-commerce application driven by insights from their in-store customers. Originally launched in 2015, it turned out that buyers weren’t even using the app and wanted a more ‘human’ touch. IKEA re-imagined their customer journey map, with support for augmented reality-based furniture trials. Ideas like these are a great way to increase customer retention and contain churn. While you keep updating the e-commerce mobile app with new features, the user base will gradually expand, even as existing customers keep visiting to find out what’s new and on discount. E-commerce mobile app users are twice as likely as desktop users to return, within a month of their first visit. As a business-owner, you can use the feedback that app users provide and keep an eye on the features that your competitors or other brand apps are adding to ensure it’s aligned to your visitors. Arguably the strongest factor that supports the building of an e-commerce app for your business is the deeper level of personalization that an app platform can help create. An e-commerce application lets you unlock a whole new level of ‘experiential targeting’. The leading coffee chain Starbucks’ their app personalized for their customers to such an extent that it uses pre-saved information like typical visit times, orders, and spending patterns to customize offers and discounts. So, someone who drinks decaf, for example, gets push notification on new decaf flavors when walking past a Starbucks outlet. Besides such advanced use cases like Starbucks’ geo-fencing integration, e-commerce mobile apps can also use on-device data to change several UX details. Given that most e-commerce mobile apps carry permissions to access the information stored on smartphones, you gain access to customer habits, preferences, and negative triggers. Search query defaults, location-based form auto-fill, and suggestions based on previous app usage, are only some of the ways to leverage a mobile app’s intrinsic personalization capabilities. Additionally, by using mobile analytics, you could even custom-create long-term campaigns, like event-based promos or reward programs. Once you understand exactly how your business can benefit from a mobile e-commerce app, it’s time to conceptualize the platform – either through a full-scale prototype or a Minimum Viable Product (MVP) ready for deploying. Here’s a quick look at the difference between a prototype and an MVP to help decide which one is right for your business. A prototype is essentially version 1 of your mobile e-commerce app – it will have all the features you want, albeit in a slightly limited manner. Post-release of the prototype, users will offer feedback and customers may even send in complaints, based on which upgrades can be made. The advantage of this approach is that your brand can launch an app as soon as it’s created. However, a mobile e-commerce app prototype could take as long as six months to design, develop, and launch. That’s why the MVP version of an e-commerce app is often the preferred approach of businesses. Here, you incorporate only the core features like product pages, user profiles, carts, and payment systems, and quickly launch your app into the market. Following an agile model, you can learn from feedback, add new layers, and measure customer response. You could choose to introduce your MVP as a beta app, inviting early users to take an active part in the app development process. Of course, there will always be a feature that you want to add or a new plug-in that’s missing from the current version that the development team can always come back to later. Gradually building out the e-commerce app without major upfront investments and leaving the good-to-have aesthetic features for later can also be a good option for SMBs as an entry point into the mobile e-commerce application space, ensuring maximum returns at optimized costs. Whether you opt for a full-fledged prototype or an MVP version, both must essentially have some basic features that your business can’t miss including your e-commerce app. 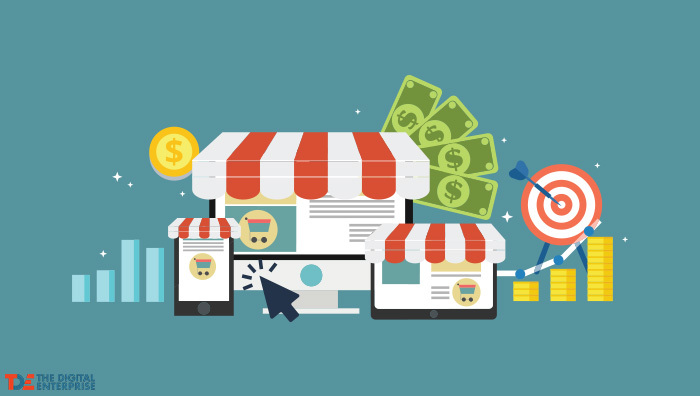 The first step is to accurately and objectively assess how viable it is for your business to venture into building its e-commerce presence at a particular point in time. This will depend upon the nature of your industry, the possible customer base (hyper-local, statewide, national or global) and the demand experienced from existing customers. If existing buyers, for example, are already asking for shipping facilities and payment tracking, building a mobile e-commerce app makes perfect sense. Next, define your business maturity state and align it with digital goals. Based on what this reveals about your business stage – startup, growing or established – you can estimate your investment for mobile app development and even set aside a dedicated budget for long-term maintenance. More specifically, you will be able to root out features that only contribute to aesthetics and not add substantially to UX and increase your e-commerce app development budgets. In an interesting case study, Finland-based e-commerce company Taloon found that by removing their social media integrations, their “add to cart” click-through actually rose 12%. By conducting a thorough market analysis, errors like this can be curbed right at the outset. After you have clearly defined the current business scenario and future needs, it’s time to conduct a thorough audience analysis. This will unlock new strategies for connecting with your customer, beyond merely offering your products on a new platform. This will essentially guide your entire e-commerce mobile application roadmap once data insights are gathered in an in-depth and comprehensive manner even beyond the release stage. For instance, a lifestyle e-commerce company accurately segmented its customer base into organically acquired and paid-driven, zeroing in on high-engagement customers who were likely to give them a high Net Promoter Score (NPS). By using a combination of real-time analytics and in-app messaging, they connected with users to achieve higher star ratings on the app store. Its e-commerce mobile app downloads reached 93 million, with USD 13 billion in revenues solely from the mobile app sales alone. Your mobile e-commerce app needs to initially focus on either Android or iOS app development based on the market research and audience analysis, which will throw up data on where majority of your users are present. For small and mid-sized businesses, having an omni-platform approach may not be economically feasible right away. Hence, the choice of platform is a crucial decision, as work begins on building a mobile e-commerce app. Android has more users and thus leads to wider reach or downloads for your e-commerce mobile app. iOS is more secure and more popular in the US for businesses hoping to newly penetrate this geography. If e-commerce app development costs are not a consideration, it would be ideal for your business to develop your app on both platforms. This will enable you to reach more users, while not missing a niche target group. If you cannot, for reasons of budget, afford both, develop your mobile e-commerce app on the platform that is used by the bulk of your target audience. When it comes to building a mobile e-commerce app, User Interface (UI) and User Experience (UX) lead to success. So, do put a lot of thought into the color schemes, transitions, and visuals that customers are known to appreciate and ensure your mobile e-commerce app allows them to move effortlessly from one section to another. Give attention to your branding and logo and create carefully since this would be your identity with target customers. The best e-commerce app development plans will envision the use of smart branding tactics while remaining seamlessly user-friendly. An impeccable-looking mobile app with a great user interface and intuitive design is what you want. A native mobile app is an application that is created for use on a specific platform or device, like Android, iOS, or Windows, as it is customized and coded in its native programming language. On the other hand, a hybrid app is created as a single app for use on multiple platforms and for different mobile operating systems like Android, iPhone, or Windows. Hybrid applications are a combination of native apps and web apps. From an e-commerce app development perspective, native apps have the advantage of running smoothly once they are built. Hybrid apps are web-based apps configured to work smoothly on smartphones. Before choosing a native or hybrid mobile e-commerce app, you should consult with your app developer to factor in your budgets and business preferences. While it’s important to factor in the cost of developing your business e-commerce app, it’s equally critical to chalk out the expected ROI and cost-benefit analysis to get an overall picture of taking up this project. While the budget will dictate the spends on the look for your app in terms of features, details, UI / UX, but costs are an outcome of value and return. While app development costs may vary depending on whether you are approaching leading market players or newbies, but the superior value that more experienced app development tech companies can offer, you can be assured of a growth in your customer base and sales multi-fold. Good mobile e-commerce apps can help you recover investment costs in a year. And, if your product app solves a problem or reduces a business expense, you are a gainer from Day 1. The foundation of every successful mobile e-commerce app is an app back end for sharing and processing data from multiple users and storing large databases to process on demand. For e-commerce apps on managed platforms, the upgrades, scalability and other requirements are handled by the vendors to whom these tasks have been outsourced. However, this could impose limitations on the configuration of your e-commerce app. 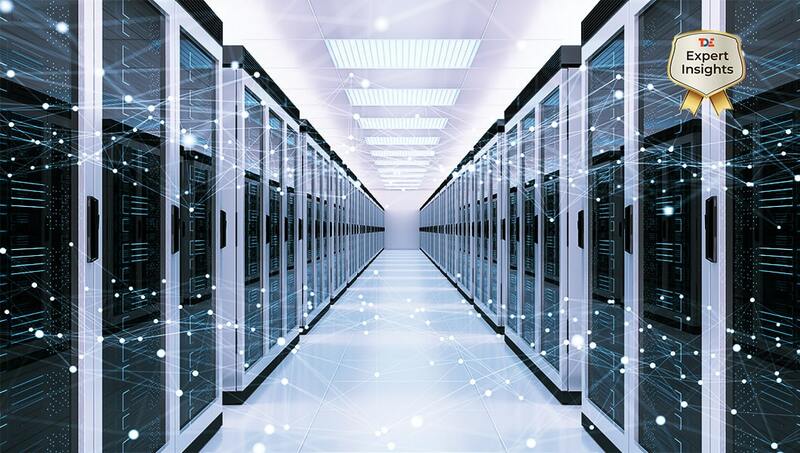 For self-serve platforms, while you have complete control over server configuration and it doesn’t need active management all the time, there will still be some regular upgrade and management tasks that a dedicated team will have to take up. With a lot of apps on the app story being API-driven, you may not always need a custom back end for your mobile e-commerce app. Based on your business requirements, consult with your app development vendor to understand the best approach for you. 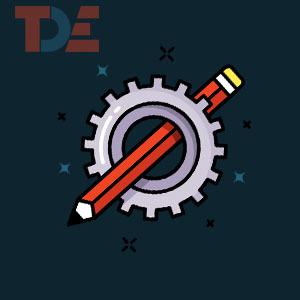 With the increasing number of mobile users and decreasing attention spans, you need to know that at the most basic level, your app needs to load fast, offer seamless navigation and ease of use, and have a Content Management System (CMS), which is mobile e-commerce app development friendly, making the content aligned to the app design. So, ensure your development team maintains a fine balance between app back end, CMS interface and ease of loading. Competitor intelligence when taking up any new business project is a must, not just to understand where you stand vis-à-vis your competitors but also to ensure you are improving on your competitor’s approach to the same issue. When developing your mobile e-commerce app, analyze what has worked for your competitors. If their mobile consumers are leaving positive reviews, learn from their feedback and incorporate these into your own build. 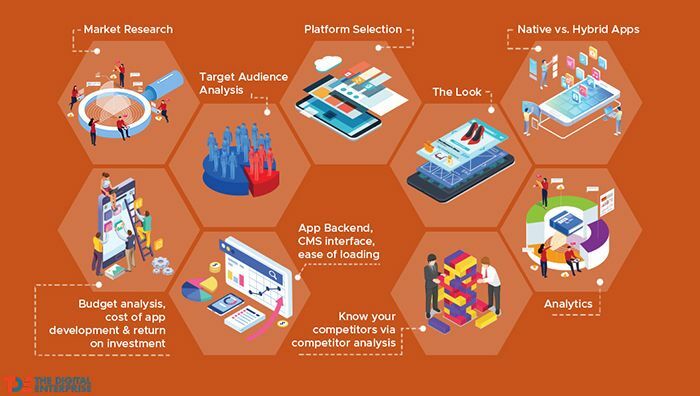 While duplicating their mobile e-commerce app features may not be the way forward, researching how competitor e-commerce app development has helped the business to grow can help you reiterate your own reasons for building your own mobile e-commerce app. Imbibe these details to deliver a product that consumers would love to engage with. Other than competitor analysis, it’s also critical to derive actionable insights from the analysis of your own business operations till date. Data about strategies that have helped boost your online sales, the hurdles your business has faced from time to time, KPIs like revenue per visitor (RPV), customer acquisition cost (CAC), conversion rate of your online activities, where new customer orders versus returning customer orders are coming from can definitely give you insights that are valuable when designing your mobile e-commerce app. For instance, if customers are not completing transactions on your website even though they are browsing for a considerable period of time, could either mean they are not finding what they want in your search options or not finding the payment options easily and this can be used to make a friendlier app interface with easy payment tabs upfront. While designing your e-commerce app, keep in mind that these metrics should have in-built monitoring so there can be continuous improvements once the app is in operation. Discuss in detail the use and structure of analytics and tools with your e-commerce app developer before building your mobile e-commerce app. Once this foundation is in place, you’re ready to deep-dive into specific application specs, selecting the most relevant modules, integrations, and capabilities. Each methodology has its own advantages: the email and phone number variant offers the greatest control to users; social media is the quickest; SSO is the most secure; and Guest Accounts provide greater privacy. It is advisable to have at least the first two during the MVP stage. 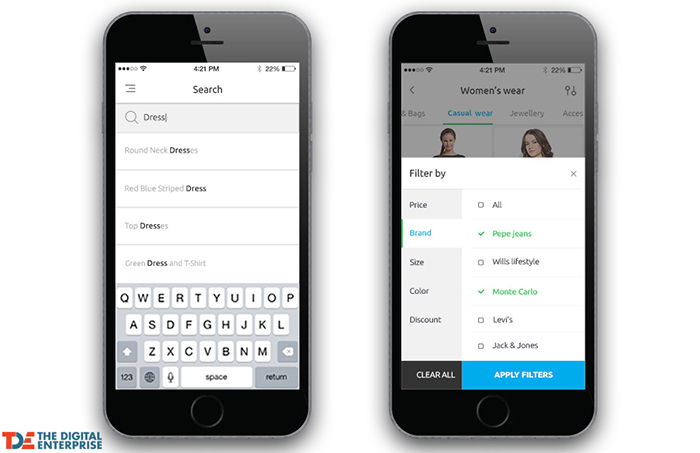 A powerful search and filter functionality can match the user’s exact requirements to your available inventory. Even if an e-commerce application lists just 50-100 items, this can make a major difference, allowing users to sort products based on price, discount, delivery times, or other similar parameters. Simply put, your consumer finds what they desire quickly and effortlessly, without being distracted by irrelevant information and UX interruptions. 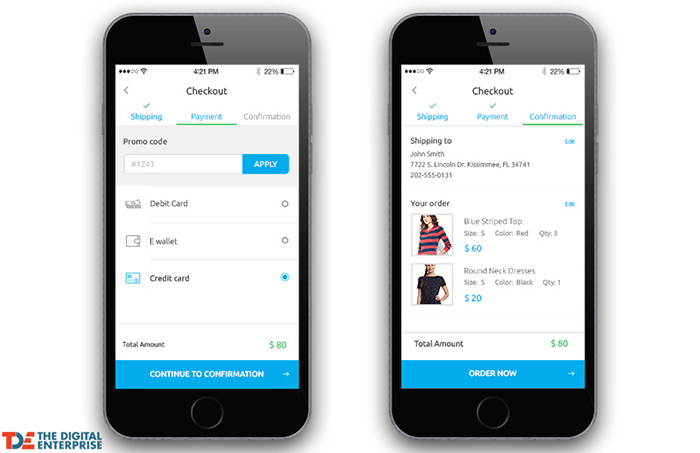 While a basic cart is a staple for any mobile e-commerce application, the features can be enhanced in several ways. Allow customization in terms of changing product color, size, quantity directly from the cart. Ensure easy removal of items with one click. Enhance the visibility of reward points, coupons, and delivery charges. Allow items to be moved from the cart to the wish list seamlessly, without any hassle. 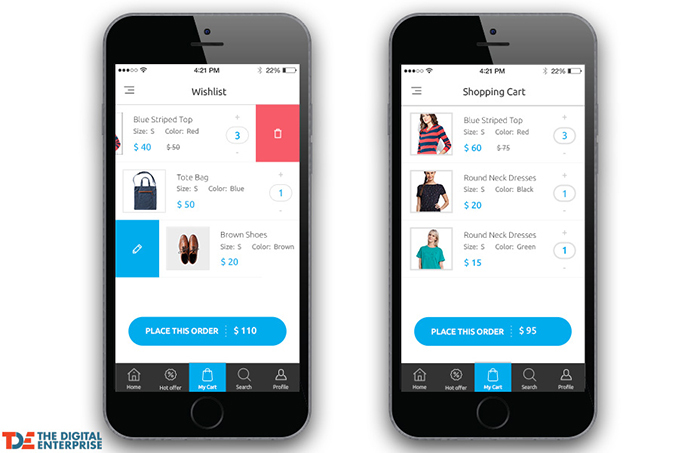 A wish list is critical to any modern e-commerce application. A large portion of online purchases are impulse buys. Hence, a wish list significantly increases brand recall and loyalty among customers. Interestingly, shopping cart abandonment rates on mobile e-commerce apps are just 20%, compared to 68% on desktop and 97% on mobile websites. By getting this crucial step right, you can ensure a smooth purchase journey from initial interaction to checkout. Preventing customer fatigue is as critical as offering quality products. By letting them save their details and quickly navigate through the payment gateway, you make the experience simpler and more hassle-free. Consider enabling support for multiple addresses and payment methods, letting the user choose the default/preferred option at each visit. Available payment options should also be comprehensive, with a smart mix of local and international gateways such, depending on your shipping radius. It’s also a good idea to subtly push customers towards using built-in e-wallets through rewards points and gifts. For instance, a customer would earn points based on order value and these would be credited to your mobile app’s e-wallet, which can be redeemed on their second visit. 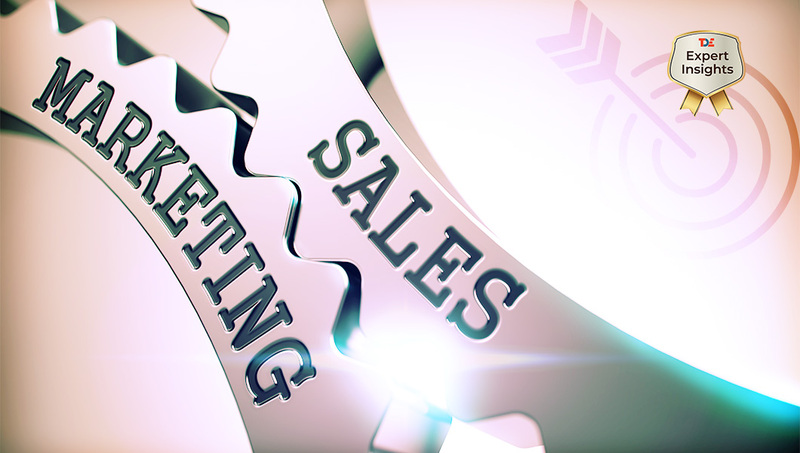 While a significant amount of resources are spent on generating sales leads, we could argue the real test begins after an order is placed. Your e-commerce app is not done communicating with the customer once the order is placed. In fact, the responsibility only increases. Order tracking allows the user to monitor order processing and shipping for e-commerce. It is all about communicating the right messages at the right time. The user gets the impression that they are on top of the communication channel. One way to integrate an ERP system into your mobile e-commerce app to automate the process of order tracking. 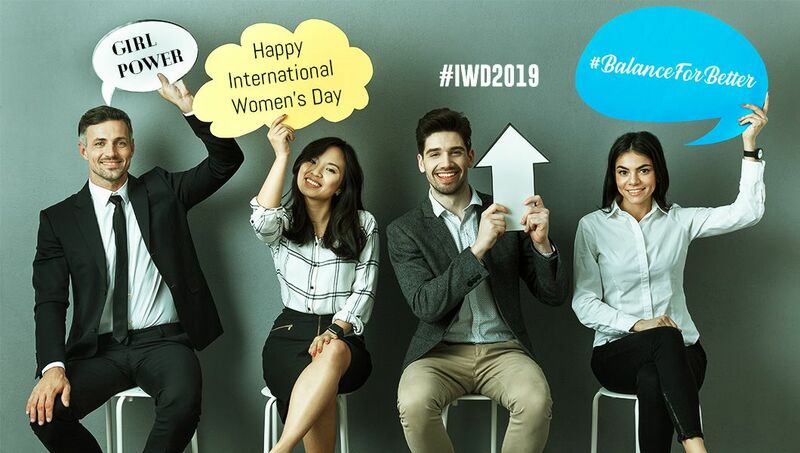 A smarter way is to have API integration from your logistics partner in order to automate the order tracking process, and the ability to connect with support at every stage. Most customers today expect a readily available and easy-to-use order tracking process, so the differentiation lies in giving them the ease of retrieving order status instantly. There’s a great deal of sensitive customer information flowing through any e-commerce mobile app. Apps on both iOS and Android have suffered data breaches, compromising over millions of user information, and this is very likely to happen for e-commerce apps as well. Therefore, it is critical to offer robust security and review code at regular intervals, so that a customer’s card details, residential or office addresses, and other personal data is protected from cyber threats. From May 2018, the General Data Protection Regulation (GDPR), a new data and privacy law from the European Union, governs how every mobile e-commerce app collects and processes personal data of EU citizens. It doesn’t matter if your app is operated from outside of the EU; GDPR will still be applicable. So as an owner of mobile app asset, you need to implement GDPR-compliant privacy policies and procedures. Social media: Track the news, ideas, personas, and products your customers follow to personalize products accordingly. Buyers can share discounts and special offerings with a wider audience, directly through Facebook, WhatsApp, Instagram, and other handles. In the simplest of terms, it is a good way to garner word-of-mouth marketing. Website synchronization: This allows buyers to access carts, payment methods, addresses, and wish lists across platforms. Even when you’re ramping up native e-commerce mobile app development efforts, the website should be maintained in tandem. Invest in compliance with Google’s Accelerated Mobile Pages (AMP) and Progressive Web Applications (PWA) protocols. Beyond a measurable increase in loading speed, this will also improve your search ranking on the web and on app stores. Many may argue push marketing comes off as invasive and unwanted, but the stats tell a very different story. Customer reviews: Empower customers by giving them a chance to review products; this will also go a long way in ratifying product quality and capturing new buyers. For new e-commerce mobile apps, specifically, reviews can prove to be a valuable conversion tool – you could even embed feedback forms in order and delivery confirmation emails, requesting feedback on the product, and the e-commerce mobile app experience. 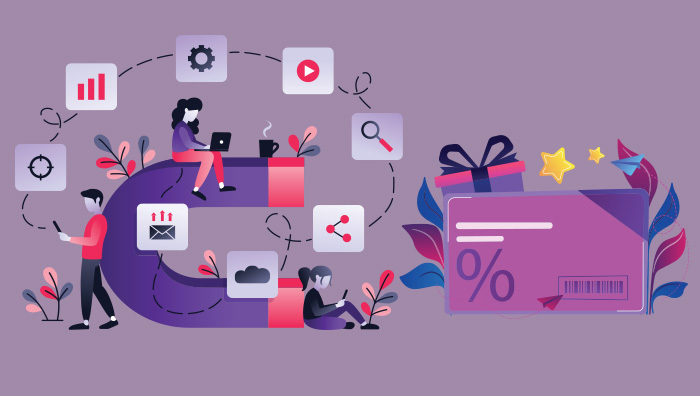 Analytics: A milestone on your e-commerce mobile app development journey, the analytics layer will track how customers are reacting to the app in near-real time. Understand which products are working best, the ones that need re-packaging, offers that are stealing the spotlight, and key demographics on who’s responding most to your portfolio. 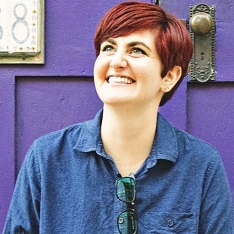 There are several easy-to-deploy analytics tools out there like Google Analytics and AppsFlyer; these should be configured with the right metrics: user behavior, product reviews, reviews on the app marketplace, downloader / consumer demographics, cart abandonment ratio, social media usage from app, in-app chat analytics, and so on. Let’s now look at this – and other future trends in mobile e-commerce app development – in greater detail. Geo-fencing is simply connecting the placement of a product through beacons, RFID, GPS, or WiFi, with the user’s location. Powered by these technologies, a user’s location can be tracked to the minute, placing them within a 2 km radius of malls and retail centers. Home Depot, for example, uses geo-fencing to switch from regular to ‘in-store’ mode as soon as a customer steps into a Home Depot outlet, showing where to find a specific product. Voice-based assistants like Siri and Alexa are now a popular emerging trend. As an retail business owner growing your e-commerce brand, you must also adapt to this wave and offer product data, compatibility and synchronization with voice. For instance, Walmart uses the Google Express E-commerce Platform to allow voice-based ordering. As a retailer, integrating image-based search is also a good idea as they can penetrate new markets, where language is no longer a barrier, and incorrect search or misspelled product names aren’t a bother. Have you noticed that Google Lens is already linking images to ecommerce in real time? Among other impacts, e-commerce apps are fundamentally shaking up the order of things with their ease of buying and fluid checkouts – pushing for a completely browserless experience. As IoT devices begin to flood the market (smart watches, smart refrigerators, connected cars, and so on) business owners must keep an eye on this fast-emerging point-of-sale. IoT acts like a bridge that connects machines, appliances, and many other things. 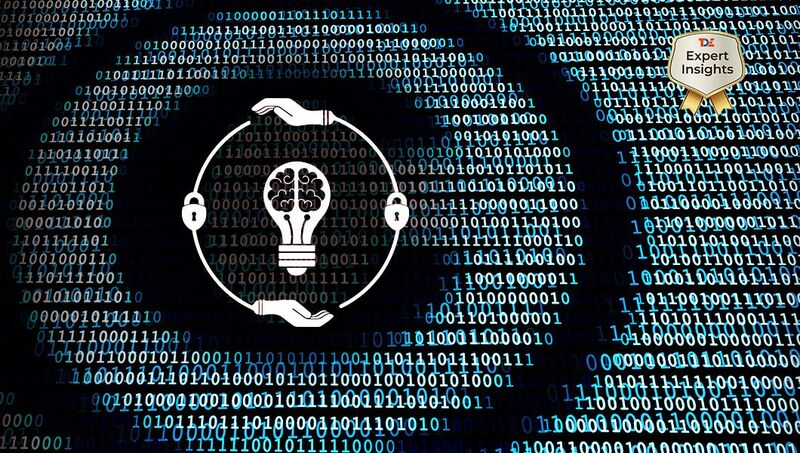 This digital ‘connectedness’ boosts e-commerce investment in machine learning and cognitive computing, while accelerating e-commerce investment in automation. It allows a dashboard-like control, shaping real-time inventory, smart shelves, identify defects and malfunctions, and deliver personalized customer service. Never-before details about the entire e-commerce experience, collected from IoT devices, allow the shipping process to be monitored right down to the temperature of the product, for example. With the help of sensors and beacon technologies in-store, retailers can establish deeper connections by tailoring mobile e-commerce app customer experience. In a nutshell, IoT offers a more seamless experience for customers that achieve twin objectives of saving time and strengthening brand loyalty, a win-win for all stakeholders of a mobile e-commerce app. For customers, unique and individualized experiences are everything. Any sophisticated e-commerce app will use AI-powered bots for contextual understanding of a customer’s need and to resolve common queries. On the other hand, Recommendation Engines use AI to analyze consumer behavior, ads viewed, search history, and people followed on social media to assess taste and preference. This data can help to personalize suggestions and enhance catalog visibility – Netflix is a great example, learning from browsing patterns to curate a tailored content selection. Right now, AR is a popular buzzword in the industry. Beyond gaming and gaming-led retail innovation like Pokémon Go, these technologies are now used to build interactive, engaging, responsive, and intuitive content. IKEA already has an AR e-commerce mobile app available that lets buyers ‘try’ furniture from the comfort of their homes. In fact, AR-driven shopping will witness adoption in any cost-sensitive market, where returns are difficult, and first-time-right is key for any product. The game appearing when Chrome cannot connect to the internet, is a good example. At its core, Micro UX pushes the user’s ‘good vibes’, encouraging the decision to buy (or at least, stay engaged) through usability and creativity enablers. 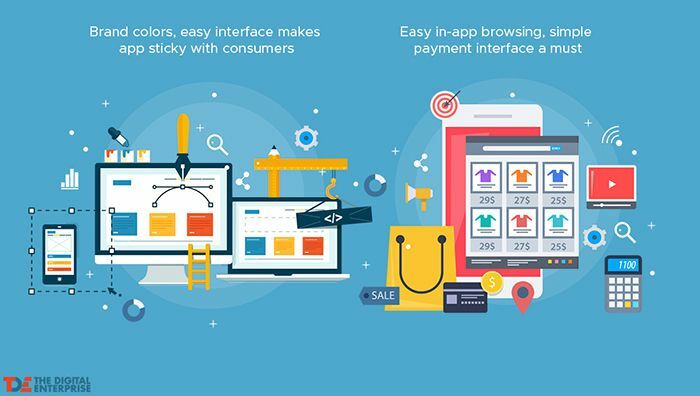 Micro UX can be easy to implement and extremely cost-efficient, specifically for small to mid-sized businesses entering the mobile e-commerce application market. After a comprehensive overview of core functionalities, nice-to-haves, and future expansion areas, let’s now dive into development and execution scenarios. Building an e-commerce mobile application is a major investment for any business. It requires careful planning in terms of timelines, costs and resources. Here’s a handy checklist of the four things to consider when allocating your mobile e-commerce app development budget. Cart: This includes various payment systems integrations, taking anywhere between 70 and 110 hours to develop. User Account: With the shoppers’ individual data, profile image, and order histories, this need 35 to 50 hours. Main Screen: For searching and filtering products across multiple catalogs, this takes 30 to 45 hours. Product Details Screen: With photo sliders, ratings, and reviews as well as ‘share’ plug-ins across social networks, this comes in at 20 to 40 hours. In addition to these, every other feature or integration selected will influence the development pathway. These are the two most popular e-commerce mobile app development approaches in use today. Hybrid development is significantly faster taking just one week to six months for a complete platform. Native apps, on the other hand, provide a better user experience and can be adapted to unique device specifications, form factors, and screen resolutions. Building separate native applications for Android and iOS environments will get you a wider, global consumer base. Do remember native apps will be expensive than the hybrid approach, which require modifications and testing to run smoothly. Remember to factor in marketplace hosting costs, iTunes / Playstore-specific compliance and OS-specific testing at this stage. A successful mobile e-commerce app needs to be flexible. They should work seamlessly when integrating other platforms. In the end, it is all about a smoother integration. This is where APIs or Application Programming Interfaces come in. These tools and functions let software access functions and features from one mobile e-commerce app in another. It is just like standard plugs and cables let you charge and connect your physical devices. APIs give you a standardized way to share features and data between apps. Do remember that there is not a single app out there that doesn’t involve some kind of 3rd party integration. A smooth integration that avoids common implementation pitfalls will reduce complexities and deliver measurable value for your e-commerce app development costs. Before selecting a vendor, assess against key parameters like vendor reputation, team strength, previous projects, domain knowledge, and remote collaboration capabilities. After all, it is your dream, your goals, and your investments on the line – check on dedicated resources assigned to your project to ensure successful development and delivery. Now that the efforts, resources, and timeline projections are largely understood, you can arrive at an approximate cost sheet for your mobile e-commerce app development project. According to a Forrester survey, development costs can range anywhere between $50,000 to $150,000. According to other estimates, you could build a sophisticated and well-functioning e-commerce mobile app at just $5,000 a month. Besides the cost and man hours of the entire app development cycle, factor resource costs of around 20% for maintenance over the next two years. While readymade e-commerce app templates can shave off months from your project timelines, always verify the source of origin and only opt for trusted vendors, who’re ready to address your unique requirements. Hopefully, this extensive and exhaustive insight into building e-commerce apps will equip you as a business-owners to jump-start your transition to the world of mobile e-commerce.